I’m a firm believer that business priorities should drive your IT decisions, not the other way around. This ensures that you are achieving real business impact, not just following the latest IT trend or getting distracted by low value activities. In the context of choosing software, asking the wrong question is jumping to “which CRM should I get?” before first asking questions like “what does my business need to meet its objectives?” and “how can software help me do this?”. It may indeed be the case that a CRM system is required… but before you try to find the right one, find out in detail what it is that you most need for your business to succeed! 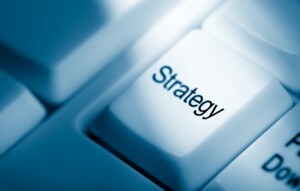 The benefits of taking a more strategic approach to IT – i.e. aligning your IT and software decisions with what drives your business success – are compelling. On the one hand, you reduce your costs by not investing in things that don’t make a difference to your business. Plus, the right IT investments can provide a seriously positive boost to your sales, productivity, customer satisfaction, and overall business performance. In fact, a McKinsey study from 2006 found that “investments in technology-enabled business processes can deliver up to ten times the impact of traditional IT cost reduction efforts”. If you’d like a free copy of our ebook on effective software selection, simply email us at info@softwareshortlist.com. And once you’re ready to consider particular solutions, why not try our free Get A Shortlist service?